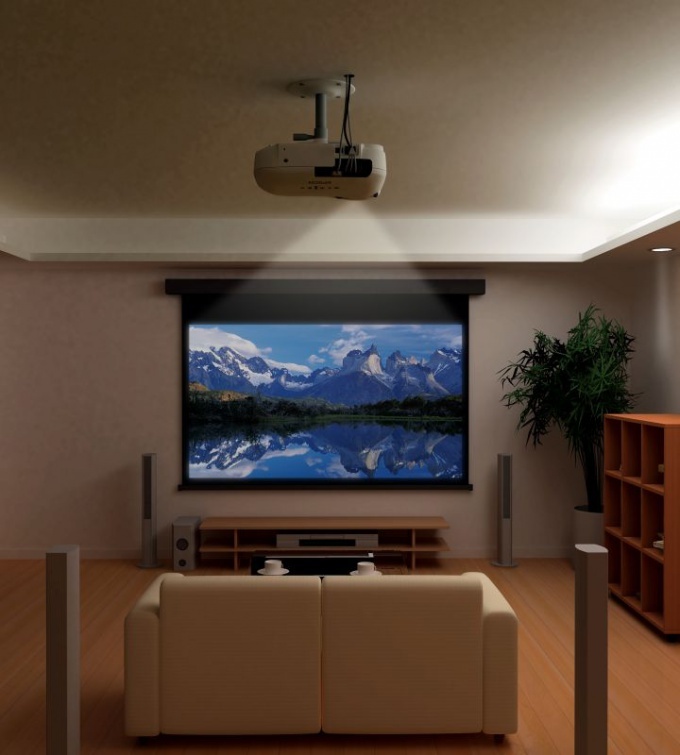 Fans of cinema tend to create a similar atmosphere at home, buying wonderful digital technology, including sound system and projector, which allows you to play your favourite movies, cartoons and other videos from your computer directly into the wall. Thus, people get the kind of cinema right at home. To get pleasure from this home theater system, it is important to choose the main part of the projector. When buying you must pay attention to many of his characteristics and work, but mostly on the lamp. The lamp of the projector is the most important component of digital devices. In the case of its malfunctioning or breakdown, to troubleshoot it will be very difficult and most importantly expensive. In order to avoid this the lamp should be checked at the time of purchase.To make all the steps to verify the projector lamp should be special gloves to touch his fingers to the glass of the lamp is in any case impossible, oily fingerprints can cause image distortion in the future and even the lamp bulb to burst when turned on. Take a box with a lamp for the projector and inspect it from all sides. Visual inspection of the box should be perfect with no visible damage, holes and dents. Make sure that box has a special marking. Such marking shall apply to all manufactured in the factory and passed a special test lamp. Open the box and look inside. Lamp for projectorshould be Packed in additional packing material (a special film, thick cardboard, etc.). Carefully remove the bulb for the projector out of the box. Inspect it. It must be perfectly clean and clear. On glass and plastic parts in any case should be free of dust, condensate dripping glue and other foreign substances. Examine the lamp from all sides on the mechanical damage. All components of the projector lamp must be solid and not have any seams, chips or cracks. Check the glass bulb. It should be clear and clean. Very often modern manufacturers instead of front glass use a special lens, in this case, it must be without visible damage.Review all connections on the lamp. It is important to know that not one detail of the lamp of the projector should not be loose, all bolts of the lamp module must be tightly screwed in. With the exception of the bolts for mounting, as they will need to tighten after installing the bulb into the device. Insert the lamp in the projector, while adhering to the installation instructions, which can be found in the box with the purchased lamp or projector. Turn on the projector and focus the light on the wall. Rate the original glow and glow after starting the video file.